TODAY I am going to send two postcards to Gerrit of Netherlands and Tiina of Finland (Updated. 7.1.16, Received by Tiina). I hope the postcards will reach them by early next year of 2016. And my handwriting style still looks terrible. But the good thing is - I can still write it! 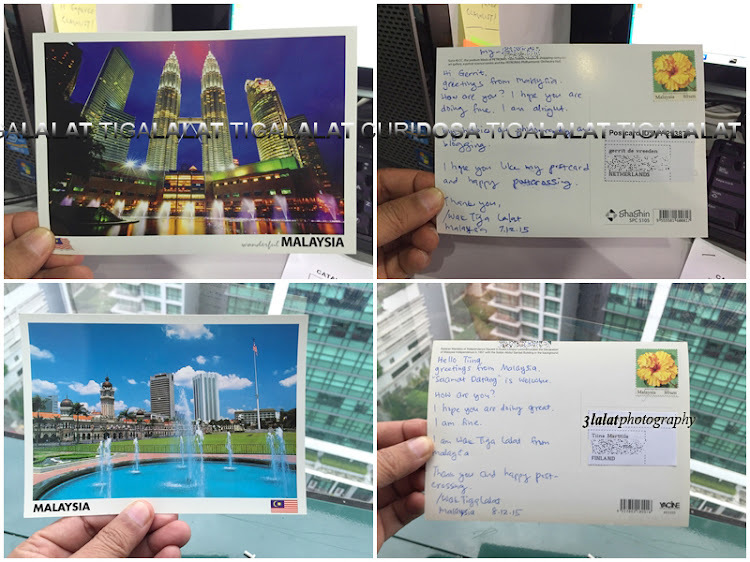 Yeayyy, all the best to you Wak..
Salam Wak,,, Dulu2 KA giler habis dgn poscard2 ni..